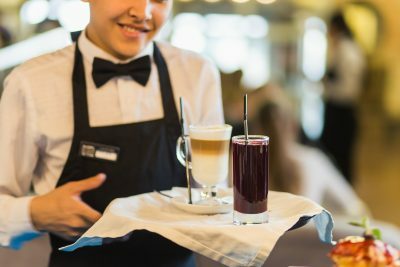 Food & Beverage servers process orders and serve food & beverage items to customers, ensure customers are satisfied with their dining experience, process customer payments, and immediately handle complaints and concerns as they occur. They are employed in restaurants, dining rooms, fast food outlets, hotels, private clubs, convention centres and on cruise ships. They have knowledge of service techniques, food and beverage product and practices of responsible alcohol service.